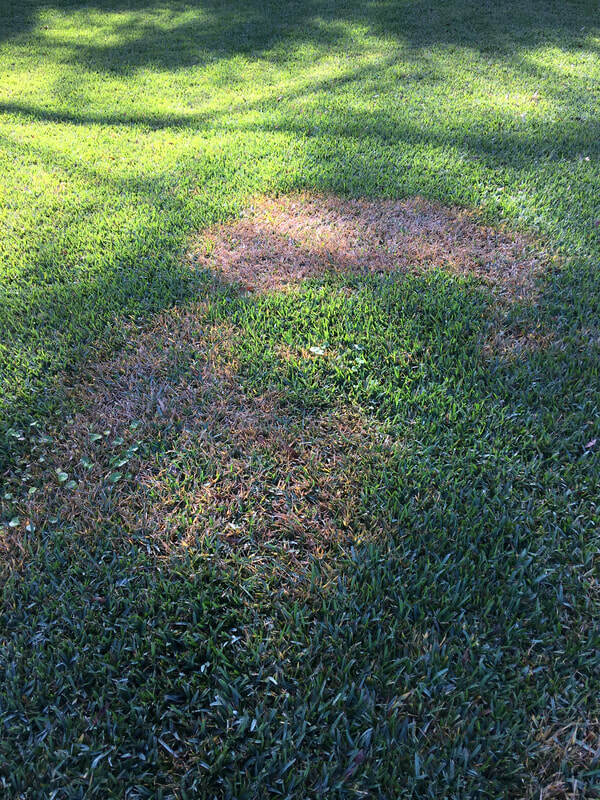 ​Large Patch Fungus (Rhizoctonia solani) is a cool-season disease of turfgrass. Until recently, this disease was known as Brown Patch Fungus. 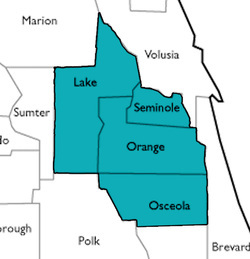 In Central Florida, St. Augustinegrass, Zoysiagrass, and Bermudagrass are particularly susceptible. 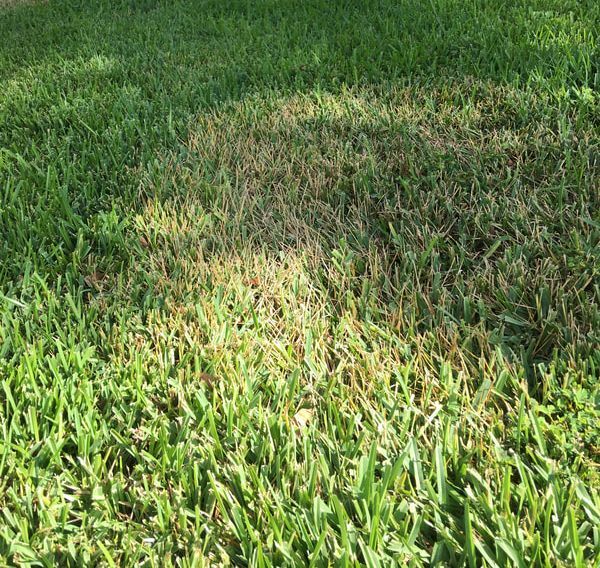 While disease symptoms are most prevalent in the fall through early spring, the disease may infect grass any time of the year, provided environmental conditions are conducive for infection. Infected grass areas exhibit browning with yellowish margins. Often - not always - there is a doughnut pattern as grass recovers in the center while the diseased margins progress outward. The grass blades slough off where they attach to the stems. The fungal pathogen resides in the soil and often reappears in the same areas every season once weather conditions favor its development. Because there is such a drastic and noticeable effect in the grass, this disease appears to be more serious than it is. In most (not all) cases, the effects of this disease are mainly cosmetic, particularly if the grass is otherwise healthy. The unsightly diseased grass is temporary and the grass typically recovers without completely dying back. However, the disease can recur many times and the appearance of the lawn may not improve until soil temperatures are consistently warmer - typically in later spring and summer months. 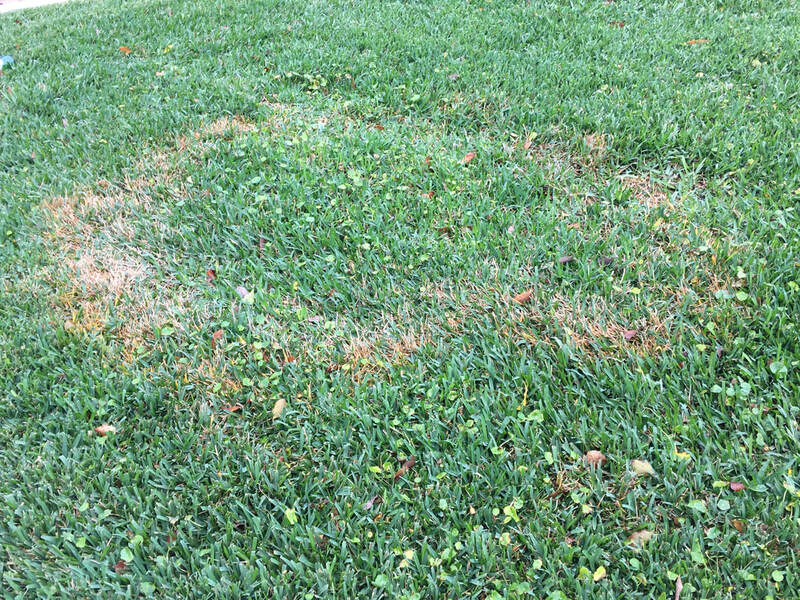 Once Large Patch Fungus appears in your lawn, we treat with fungicides to help slow its progression. Fugicide applications are not curative though, which is why the fungus typically re-infects the grass. ​Very often, homeowners mistake the rapid browining to intermittent lack of water, and proceed to water and fertilize more. This, in turn, promotes the virulence and spread of the disease. Treatments for Large Patch Fungus are included with your Lawn Care service. 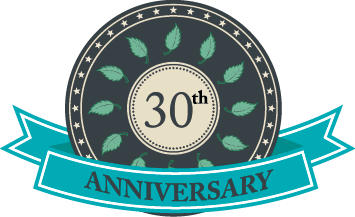 We offer a Large Patch Fungus prevention program that mitigates the severity of the disease. We mail out offer letters for the program in late summer. If you suspect Large Patch Fungus in your lawn, please contact us for an inspection, diagnosis, and treatment proposal.